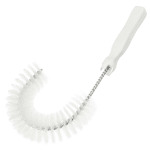 The Carlisle 4110002 Sparta® hook brush has a plastic handle. 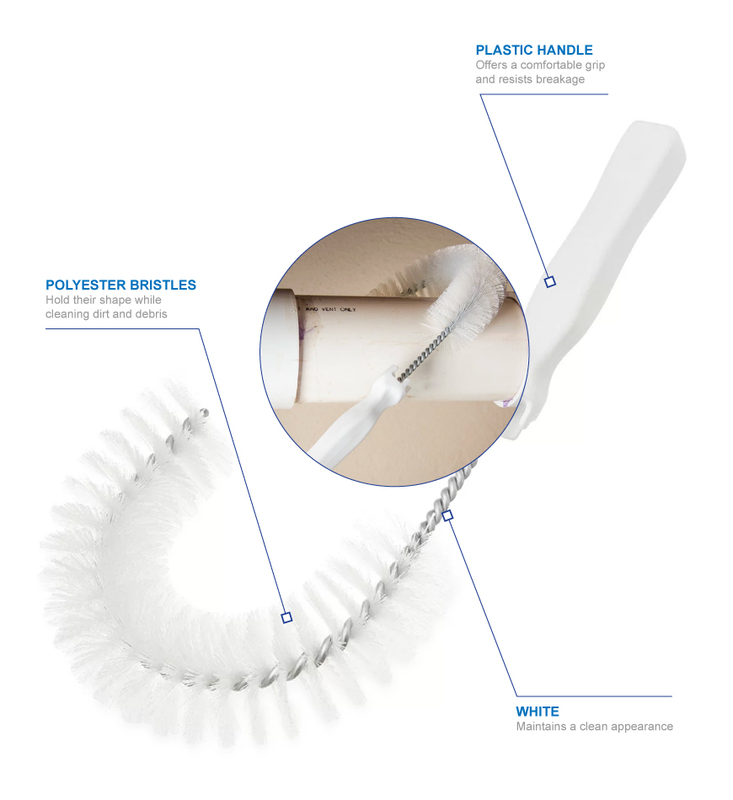 Its polyester bristles maintain their shape to remove debris and dirt, and are twisted into the galvanized wire to prevent them from falling out. With its hook shape, the Carlisle 4110002 Sparta brush is great for cleaning drains, pipes, and other equipment. Want to learn more about brushes? Take a look at the brush article for more information.